A total of 2000 candidates would be selected for the SBI PO 2018. 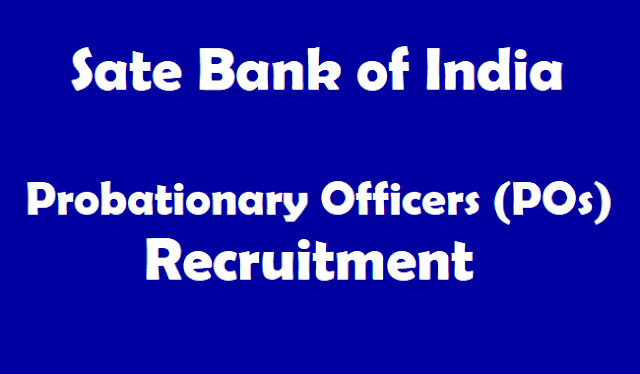 Break up of the vacancy table is provided in the detailed notification available on sbi.co.in/careers. Indian citizens who have completed their graduation (in any stream) from a recognized university are eligible to apply for SBI PO 2018. The age limit for the SBI PO Examination is 21 to 30 years as on April 1, 2018. Extensions as applicable for reserved category as per extant government rules. The candidates who are in the final year of their graduation are also eligible to apply. Chartered Accountants are also eligible to apply for the positions. Candidates are advised to carefully go through the official notification in regards the reserved category and use of scribe requirements. Only candidates with benchmark disabilities can claim the use of scribe and reservation under PwD category. Extension in the upper age limit of 5 years for SC, ST, 3 years for OBC and others is also provided. Candidates must have Graduation in any discipline from a recognised University or any equivalent qualification recognised as such by the Central Government. Candidate having integrated dual degree (IDD) certificate should ensure that the date of passing the IDD is on or before the eligibility date. As on 01.04.2018 candidates should not below 21 years and not above 30 years. Relaxation of Upper age limit as per reservation rules mentioned in Notification. The applicants may given chance to fill the forms online by registering on the SBI website. After the completion of registration process, recruitment exam process will kick off with the Preliminary Exam. SBI has released the PO notification for 2000 posts. details are also available in this post. The notification will be released on this website: sbi.co.in/careers. The POs written exam will be conducted in two phases that is Preliminary and Mains, followed by a group exercise and an interview. Candidates who clear the Preliminary exam will have to appear for a slightly difficult Mains exam which will be conducted on June and the result of this exam is expected to be released on the same month. Candidates who qualify the Main examination will then be called for Group Exercise and Personal Interview round which will be held later. Candidates interested in applying for SBI PO 2018 are required to fill the online application form. The forms are available on the official website. Direct Link to the same is also provided here. Candidates would be required to pay a fee of Rs 600 (for general category) and Rs. 100 for reserved category. Also, candidates would be required to upload their signature and photograph. These details are provided on the official notification available. Candidates interested in applying are advised to please go through the official notification carefully before filling the online application form. In order to apply, interested candidates can click on the Online Application Form for SBI PO 2018. A new window would open. Candidates are required to register online on the page and provide the information. Please remember, application would be considered complete once the fee is deposited. Also, candidates can only fill the online application and are required to pay the fee through online mode. Fee would not be accepted through challan. (ii) Descriptive Test: The Descriptive Test with 1 hour duration (50marks) will be of “Test of English Language (comprehension, short précis, letter writing & essay)”. The aggregate marks of candidates qualifying in both the Objective Tests and Descriptive Test will be arranged in descending order in each category. Adequate number of candidates in each category, as decided by the Bank will be called for Group Discussion and Interview. The qualifying marks in Group Discussion & Interview will be as decided by the Bank. Candidates qualified for GD & Interview under 'OBC' category are required to submit OBC certificate containing the 'Non Creamy layer' clause. Candidates not submitting the OBC certificate containing the 'Non Creamy layer' clause and requesting to be interviewed under General category will not be entertained. The candidates will have to qualify both in Phase-I and Phase-II separately.